Federal Reserve Chairman Powell’s recent comments about future rate hikes are being perceived to be more hawkish. With interest rate risk rising, short-term volatility has increased further in a nervous market that was already working through some near-term issues. Bond yields have snapped higher and stocks have declined sharply. The parsing of the comments may be overstating a change in policy towards more hawkishness. The unfolding earnings season to provide a counter-point to rate angst provided forward guidance is maintained. Stocks have been highly volatile in October as rising concerns about the direction of interest rates have taken center stage and diminished the risk appetite of investors. As we have noted in the past, the three pillars of a stock market are the Economy, Earnings, and Interest Rates or the Federal Reserve. While the economy and earnings are still maintaining a robust trend, there has been a lot of volatility around interest rates. The specter of rising interest rates has unnerved investors simply because bull markets don’t die of old age, but can often be choked to death by a restrictive monetary policy of the Federal Reserve. 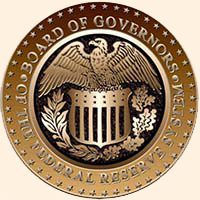 The Federal Reserve Chairman Jerome Powell and his voting board on the Federal Open Markets Committee (FOMC) have a very delicate task of managing an expansion that in its tenth year has already exceeded historical expectations. To say it bluntly, the objective for Team Powell is to avoid a monetary policy driven recession on their watch. The remarks of being a “long way from neutral” rate proved to be the jolt for the bond market to shift the term structure of interest rates for longer maturities sharply higher, with the 10-year moving more than the 30-year. The short-term maturities were not as affected since they already reflected the current monetary policy. The yield spreads were already rising through September, as seen in the chart above, but the comments provided the panic momentum for the yield to punch forcefully higher, and towards 3.25% for the 10-year bonds. The Powell comments also unnerved the stock market which perceived the words as a shift towards a more hawkish posture being adopted by the Federal Reserve. Combined that with the accelerated pace at which the yields rose, and the downside volatility increased sharply as the stock market stumbled. As of mid-week, for the month the S&P 500 (SPY) has slipped ~-4% and the Dow (DIA) ~-3%. The Nasdaq (QQQ) and the small-cap Russell 2000 (IWM) indexes have tumbled harder and were down ~-7% to -8%. Is the Market Worried About A Slowing Economy Or An Overheating One? One of the contrasting reality in the bond market was the apparent reticence of yields on longer-term maturities to shift higher, even as the short-term did so, to reflect robust growth and the Federal Reserve's policy path of gradual interest rate increases. The longer-term maturities were pricing-in an economic slowdown later in 2019, and not budging higher. As a result, the spreads between the long-and-short ends kept tightening and in the process generating significant attention for the venerable yield inversion indicator. Anytime the yield spread slips below zero, it is a highly accurate predictor of a recession down-the-road, as discussed in an earlier article Second-Half Outlook. In a way, the fear of an out-year slowdown was ending up pushing the indicator towards the zero level threshold of a slowdown. A benefit of a spurt in yields since last week on the 10-year bond has been that the yield spread indicator doesn't look so menacing anymore as it retreats, at least for now, from crossing the zero level. But since Powell's comments of interest rates being "far from neutral," the markets appear to be now shifting towards the expectation of an overheating economy and a more hawkish Fed. Economic growth, with mild inflation, is mostly good for the stock market, and that is not something to fear. However, the perception is shifting higher on inflation, which is driving risk aversion. No one knows for sure, and most likely not even the Federal Reserve. A neutral rate is one at which the monetary policy is neither stimulating nor restrictive. It's more of a touch-and-feel judgment. In an economy that has recast historical relationships between unemployment, growth, and inflation, it is hard to go by traditional yardsticks of neutral rates. But one thing is clear. We are not at neutral right now, and it may be a few hikes away from the existing level. The current Federal Funds rate is 2% to 2.25%, and with inflation running close to 2%, the real interest rate stands at about one-quarter of a point. The neutral rate may be two or three hikes away or maybe a little longer, depending on how economic data evolve once we arrive at that point. To be clear, based on present market expectation there is a high probability of a rate hike in Dec 2018 and Mar 2019, followed by a third one in the window of June to September 2019. These 3 hikes will bring the rate to a range of 2.75% to 3%, or a good 37% above present levels. There is a very good chance that we will be very close to a neutral level at that point, assuming inflation does not overshoot its 2% target materially. So as of today, it won't be out-of-place to note that we may be a long way from neutral or about 40% away. If all the planned Federal Reserve hikes, as shown in the FOMC projections, occur, then the Federal Funds rate would be in a range of 3.25% to 3.5%. In our opinion, it is quite possible that the market may be reading too much into Chairman Powell's comments. It is also very likely that the comments were just an excuse to pullback for a market that already had a number of things to work out - like the upcoming elections, a natural pause after recording all-time highs, the tariff situation, a possible peak in the benefit from tax cuts, and earnings guidance, as being a few of them. If Chairman Powell is really conveying greater hawkishness, then his comments may have already done the job of applying a little more braking pressure on the economy. The sharp resetting of rates from last week, if it holds, will cascade through the entire economy and raise the cost of borrowing for businesses as well as their existing floating obligations. Also, the Federal Reserve doesn't operate in a vacuum and shapes its policy based on the assessment of current data, a point heavily emphasized by Powell during his interview. If the data points to growing economic weakness, it would be foolish for the Federal Reserve to ignore it and persist with rate hikes. Remember, the most natural objective of Team Powell is to avoid a recession on their watch, rather than act rashly to usher in one. So for the most part, Chairperson Powell has to operate a highly data-dependent monetary policy, rather than one aiming for a preconceived target. The risk environment has shifted sharply in October on the back of interest rate worries. We had anticipated downside volatility during the month due to concerns around tariffs, earnings guidance, and upcoming elections. Consequently, at the beginning of the month, we had reduced the portfolio exposure of Prudent Biotech Portfolio to 75% invested, and Graycell Small Capto 80% invested. The two portfolios were up +70% and +36%, respectively, for 2018, heading into October. But the spike in yields and a perception change towards higher Federal Reserve hawkishness has caused heightened uncertainty for the short-term, which may require a portfolio realignment. Earnings season unfolds now and can provide a favorable counter-point to the interest rate angst, but only if forward guidance remains intact for the most part. 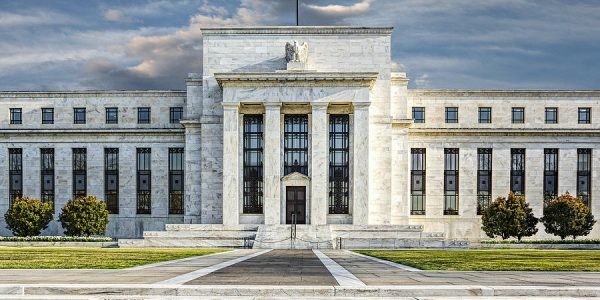 We do believe the Federal Reserve remains calibrated in its approach and data-dependent, which means the policy can go both ways. Perhaps, it will be best to keep in mind that the Powell doctrine, as outlined at the annual conference in Jackson Hole, Wyoming, focuses on gradualism and remains contingent on data and evidence on the state of the economy. In short, Chairman Powell will not be preemptive but can be aggressive if data dictates so. Perhaps the key message from Jerome Powell's comments was not only that interest rates will continue to move gradually higher, but also that they are moving higher because the economic growth remains robust and persistent. That eventually is good for stocks.